Food and Exercise: Which Snacks Go Best With Which Activities? Want to micromanage your active life? Divya Gugnani goes beyond carbs and protein to identify which snacks go best with which sports. What's the best snack to prep you for a run? Which foods will help keep you flu-free during a long day of skiing? Carbohydrates and protein are the building blocks of a successful workout, but those are just the basics. The Daily Beast asked Martha McKittrick, Registered Dietitian and certified diabetes educator, Shari Boockvar, registered dietitian and owner of Nutrifacts Inc., and nutritionist Jodi Greebel to talk about exactly which foods provide the best boost for specific activities. 1. Cycling: When it comes to endurance sports, it's all about carbs. But especially with an activity like cycling, which is usually done over longer periods of time than, say, running or weightlifting. “What many people do not know is that for those cycling... for over an hour, you must take 30 to 60 grams of carbs per hour to keep and maintain blood-sugar levels,” says McKittrick. Which foods provide this kind of sustained carb release? Four ounces of peanuts, half a bagel, two medium apples, one cup of corn, and about eight ounces of orange juice all contain approximately 30 grams of carbs. Baked potatoes, fruit yogurt, and one package of oatmeal also fall in this range. Ideal Meal: Gatorade contains the 35 grams of carbs, as well as the electrolytes that you'll need if you're cycling for more than an hour. Before a particularly long ride, drink it with one cup of Grape-Nuts cereal, which contains about 94 grams of carbs. 2. Running: Long-distance running is a tricky one. You'll need the energy provided by carbs and protein, but delivered in foods that won't be roiled by running's bouncing and jostling motion, which can do a number on the gastrointestinal system. For Boockvar, the food that provides that magic combo is edamame. “Some think eggs are the perfect package," she says. "For me, it's edamame beans." They provide the perfect amount of carbohydrates and protein, and are gentle on the midsection. Ideal Meal: Edamame and pomegranate seeds (wonderful for energy), paired with a whole-grain English muffin. Ideal Meal: Mung bean sprouts as a snack or added to salad, plus oranges and bananas and long sips of herbal tea. 4. Skiing: There's no direct proof that foods called thermogenics, like hot peppers and cinnamon, actually help increase body temperature, say both Boockvar and McKittrick. What is important when skiing is regulating body temperature, and the best way to achieve that is through good hydration. Since cold beverages can actually lower your core temperature, drink hot teas or warm water with lemon. Also, foods that are high in omega-3 fatty acids help protect the immune system—key for anyone spending a day in sub-freezing temperatures. And because cold air increases adrenal secretions, which in turn speed up your metabolism, consume plenty of healthy fats before and after to keep your energy level up. Pistachio nuts are lower in fat, lower in calories, and higher in fiber than most other nuts. They also offer a range of vitamins, minerals and phytonutrients. Ideal Meal: Warm water with lemon, pistachio nuts, and wild Alaskan salmon, which contains fewer PCB contaminants than farmed salmon, according to Boockvar. 5. Weight lifting: For an activity as strenuous as weightlifting, protein should be screaming through your muscles. Not only does it build your muscle mass, but also helps deliver oxygen to your blood. McKittrick says even a small amount of protein (10 grams) will help, especially before you start your workout. Egg whites have all the essential amino acids and can be boiled and eaten on the go. Post-workout, opt for whey protein, found in milk. Whey is digested and used quickly, making it ideal after weight lifting. After weight lifting, foods high in carbs are great for repairing muscles quickly. Simple foods such as whole-wheat bagels, and brown and white rice are great for rapid digestion. Ideal Meal: Greebel suggests soybeans or a tasty smoothie made with yogurt and fruit—fruit will reduce the amount of glycogen in your muscles, which will further improve your performance. Immediately after training, eat some rice cakes, which help you digest quickly. Greebel also warns of overdoing your protein intake, which can tax your kidneys—so be careful with protein powders and pills. 6. Swimming: Unfortunately, there is no food that can increase your buoyancy in water, unless you load up on junk food for a few months to turn yourself into a human buoy. What you can do before swimming laps is load up on protein and carbohydrates. Although the familiar adage, “wait two hours after you eat to swim,” is a myth—stick with a light meal before jumping in. After swimming, foods high in glucose may help aid in recovery. Ideal Meal: Before swimming, turkey on whole-wheat toast, or soy beans. After swimming, pineapple, potatoes with the skin on, honey, rice cakes, and watermelon. 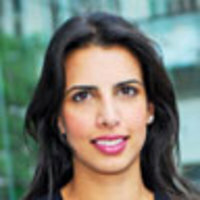 Divya Gugnani is the CEO and founder of BehindtheBurner.com, an emerging culinary media brand that creates expert-based content about food, wine, mixology, and nutrition.